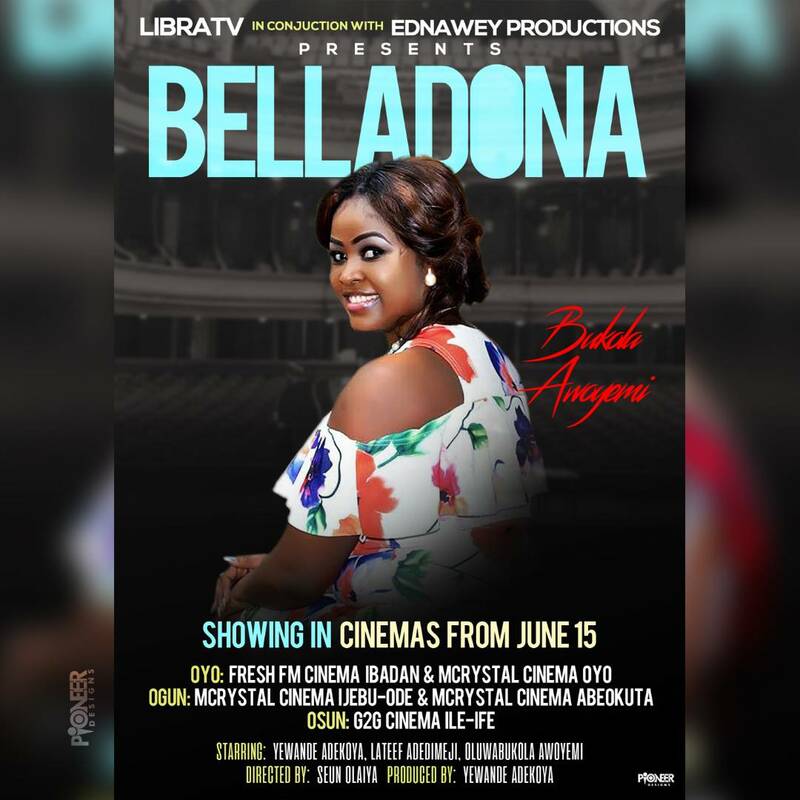 Brilliant Nollywood Actor and Producer Yewande Adekoya set for the Cinemas again with BELLADONNA. The talented actress premiered her cinema debut 'Iyawo Adedigba' on June 25, 2017 at Viva Cinemas, Ilorin, Kwara State. The movie which embodies the heritage of the Yoruba culture from language to expression of values and norms has worn multiple awards since its release. Speaking about BELLADONNA and what to expect, Yewande Adekoya stated, “BELLADONNA is an intriguing masterpiece. It is very entertaining and educative. You will totally love it. It is my own little way of actual storytelling with real life experiences. The movie which was done in partnership with Libra TV centers on love, passion and revenge. BELLADONNA is directed by ace filmmaker Seun Olaiya and features actors such as Lateef Adedimeji,Abiodun Ishola Thomas, Bukola Awoyemi among others. Yewande has produced, directed and acted in several Nigerian films. Her movie ‘Omo Elemosho’, received five nominations at the 10th Africa Movie Academy Awards in 2014. 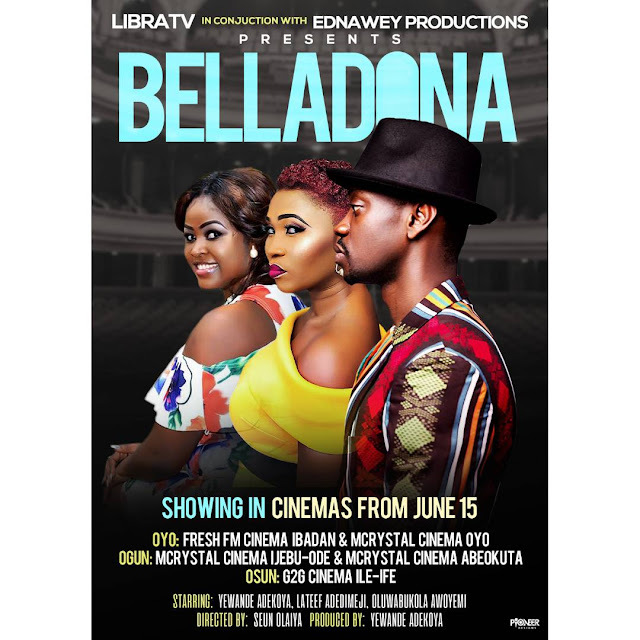 BELLADONNA will be showing at the Cinemas from June 15th in OYO, OGUN AND OSUN State. 4) Mcrystal Cinema, Continental Suites, IBM Boulevard, Ibara, Abeokuta.